Traveling thirst quencher. 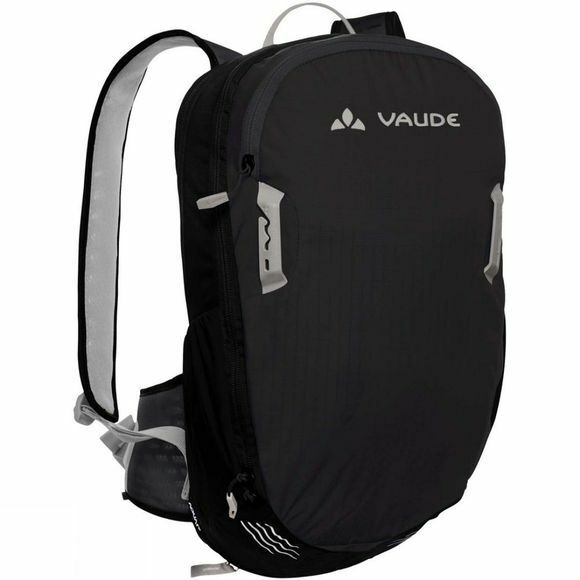 The Aquarius 9+3 Rucksack from VauDe is made with eco-friendly bluesign certified primary material and features a long-lasting, easy-care Aquarius (2 liter volume) hydration system. Count on carrying comfort with F.L.A.S.H. 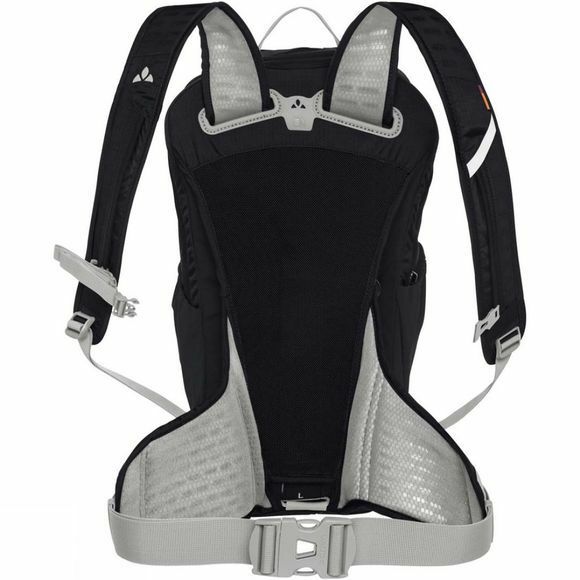 shoulder strap adjustment and Aeroflex mesh back that even keeps a fully extended hydration reservoir at a comfortable distance from your back. The 9 liters of carrying capacity are enough for routes requiring small loads, but can be expanded by 3 liters if needed.